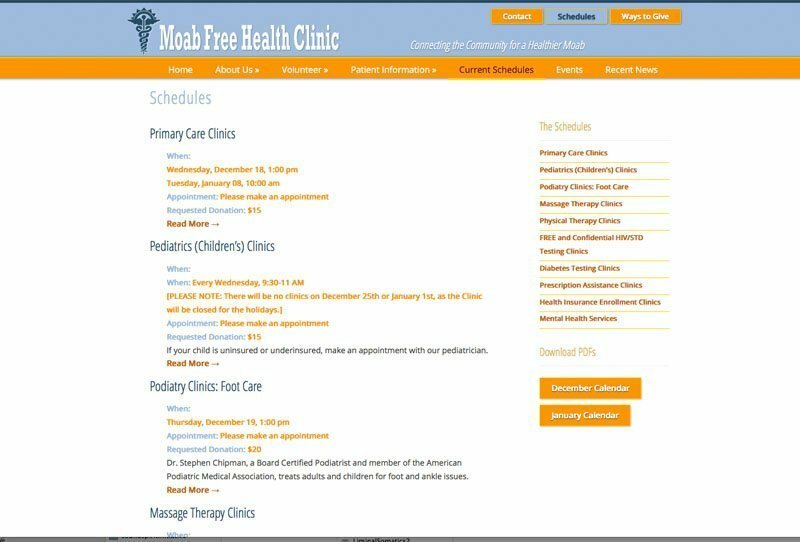 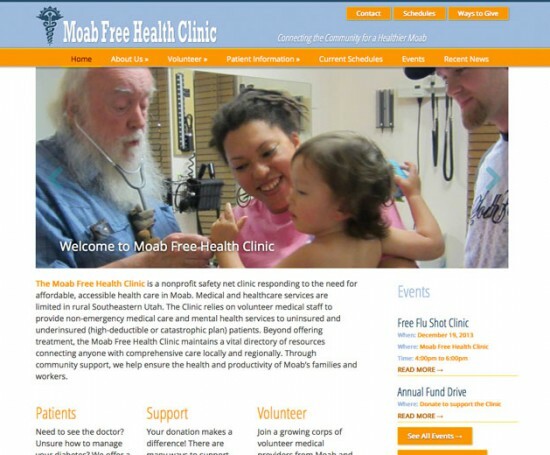 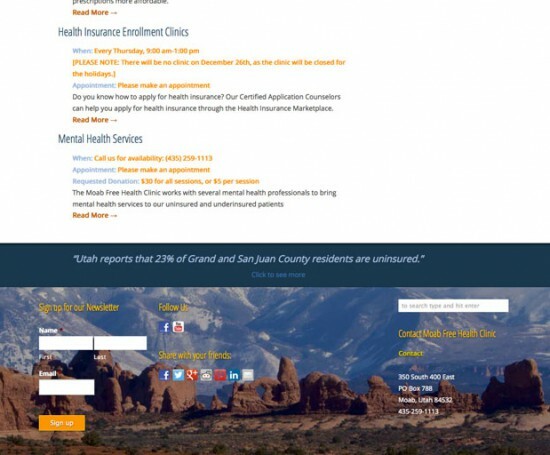 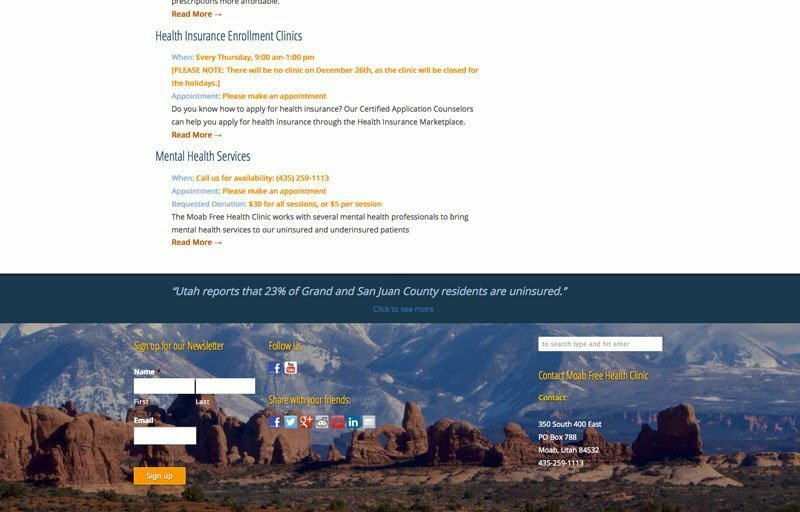 Moab Free Health Clinic offers affordable, accessible health care in Moab, Utah. 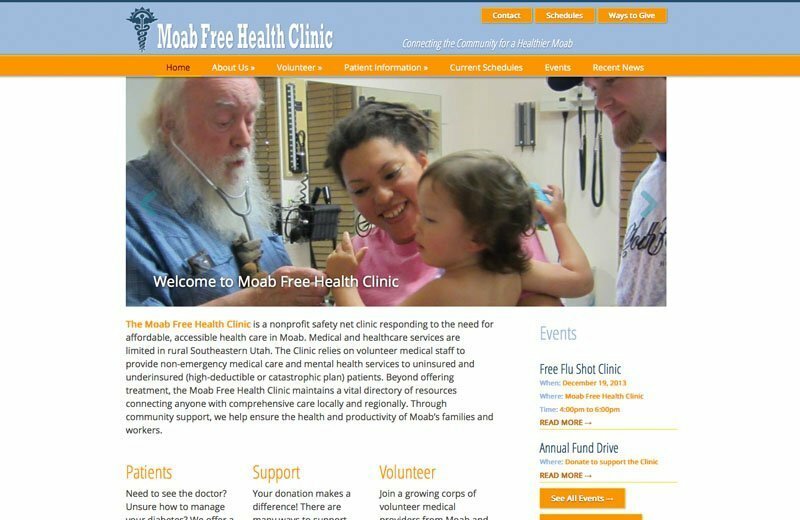 The site needed to be clean, fresh, personal, not-intimidating, and easily navigable for local health care customers, while showing some of the regional beauty and appeal to encourage healthcare providers to visit the area and volunteer their services. 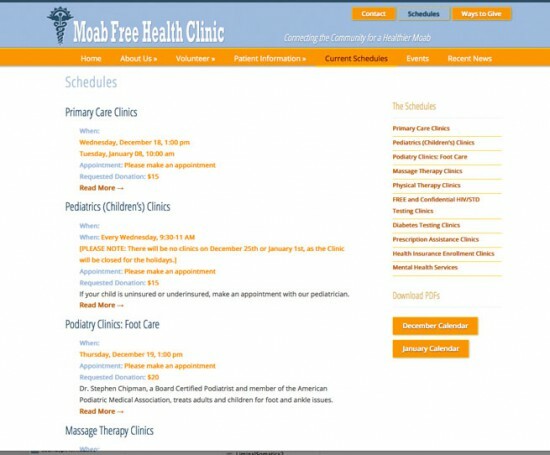 Custom edit areas were developed to manage and consistently display the always changing events and schedules.